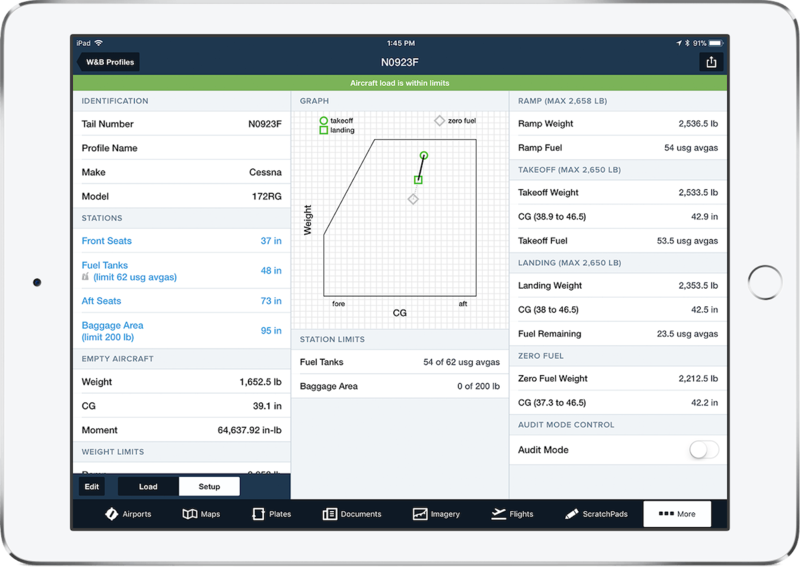 ForeFlight Mobile includes an in-app weight & balance solution that comes pre-loaded with over 100 aircraft models for easier setup. The smart interview wizard walks you through the setup based on FAA Type Certificate Data Sheet and Service Bulletin records. 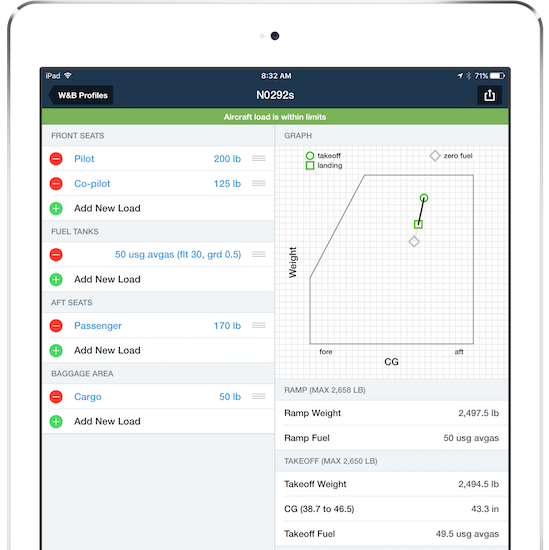 When setting up a new aircraft W&B profile, ForeFlight automatically pulls down your aircraft's POH information from the FAA. This drastically reduces pilot workload. 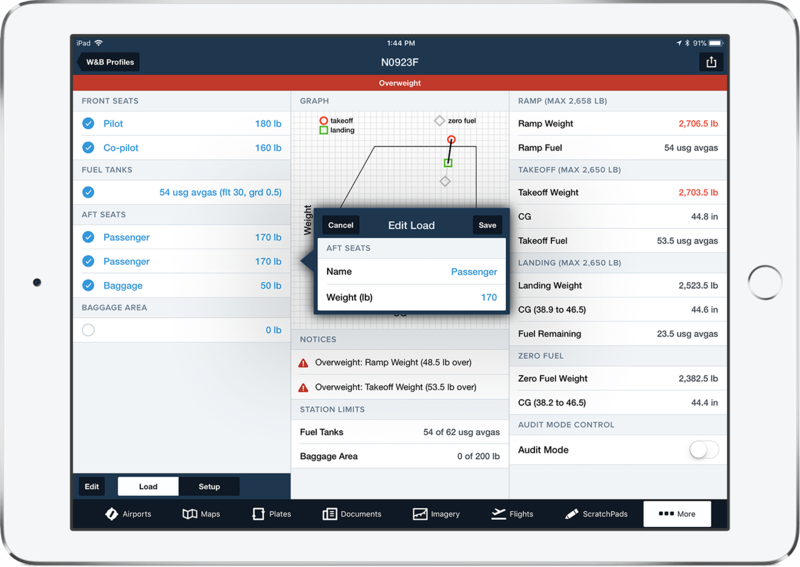 For customers requiring fine grain control over stations, weights, and limits, ForeFlight Mobile's Weight & Balance feature provides a full suite of customization tools. Watch your CG move in real time as you adjust loads or move them between stations. 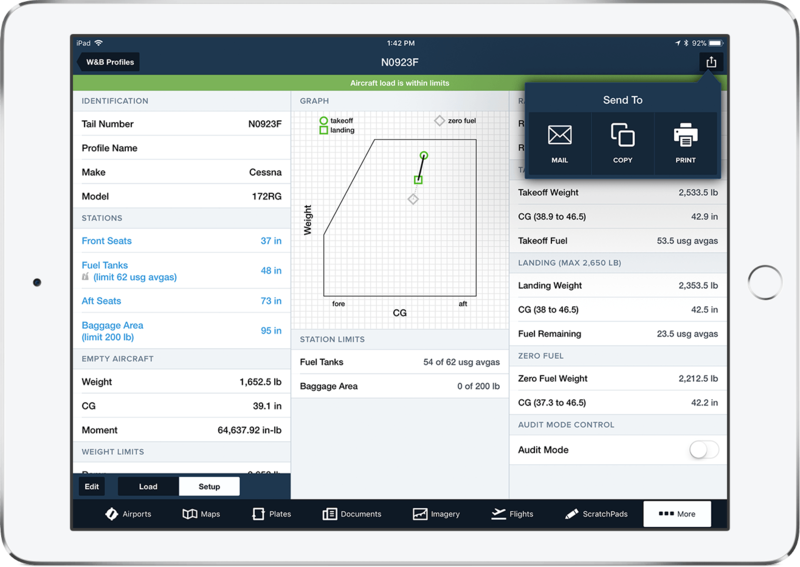 Once you've configured an aircraft's W&B profile, share it with fellow pilots via email so everyone's on the same page. 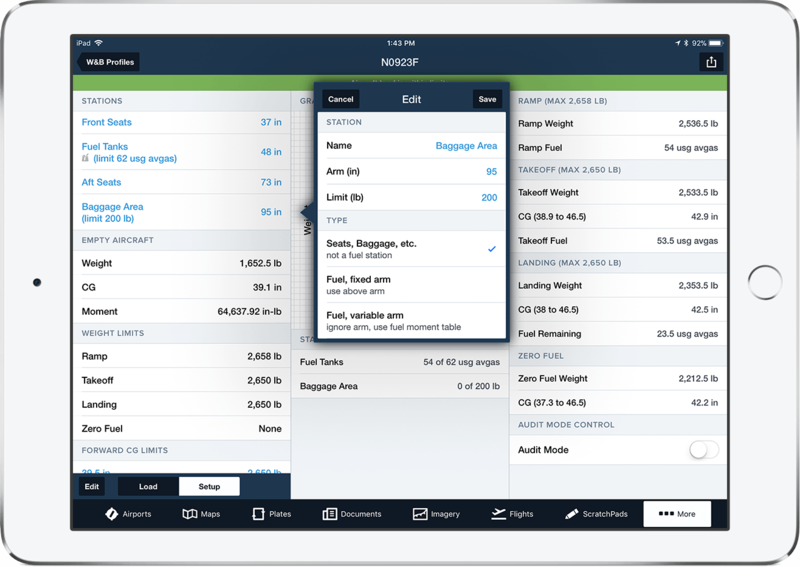 Easily generate a PDF report based on your weight & balance setup. 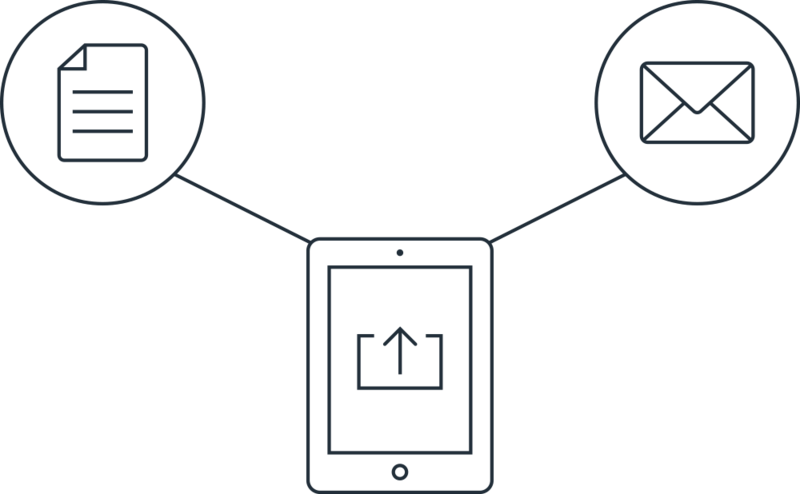 PDFs can be printed directly from the app and are attached to emails containing the full W&B profile.